Facebook updated its Messenger app for Android includes new Chat Heads feature, that allows users to keep chatting with friends even when you're using other apps. When friends send you messages, a chat head appears with your friend's face, so you see exactly who you're chatting with. With chat heads you can reply to friends just tap chat head. 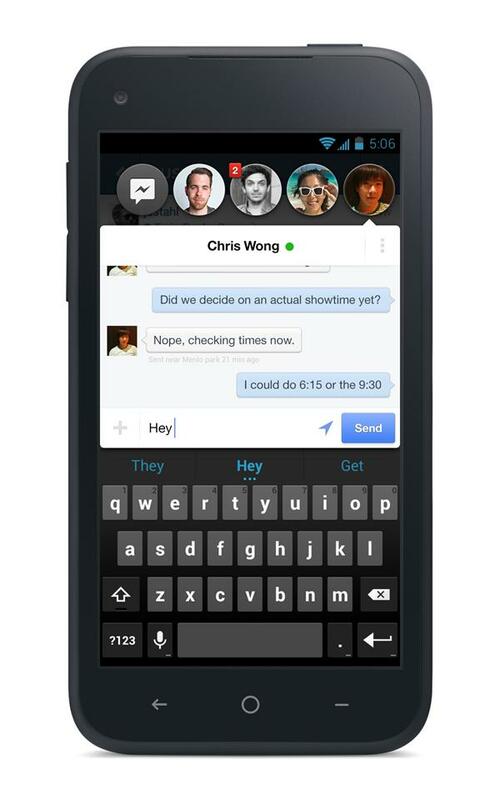 Now you can get your SMS and Facebook messages together, currently only available on some phones. And the new version comes with various stability improvements and bug fixes.